A Great Gift idea for your Kids. 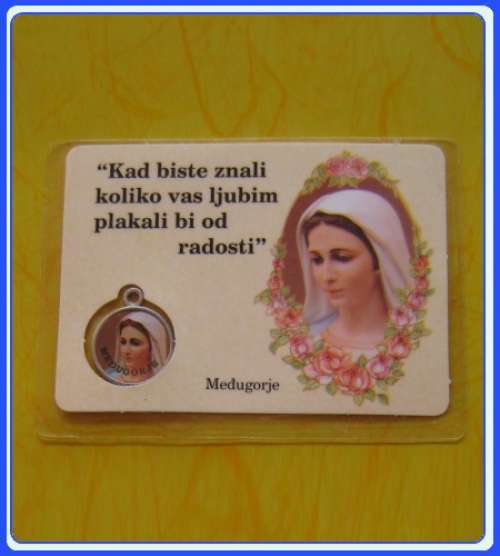 Every stone is hand picked from Apparition Hill and Cross Mountain hand carved and crafted in Medjugorje. 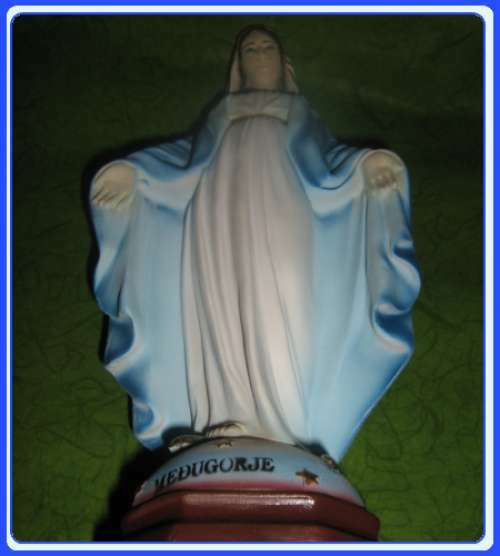 Some of you may have visited Ana's art gallery in Medjugorje at the base of Apparition Hill. 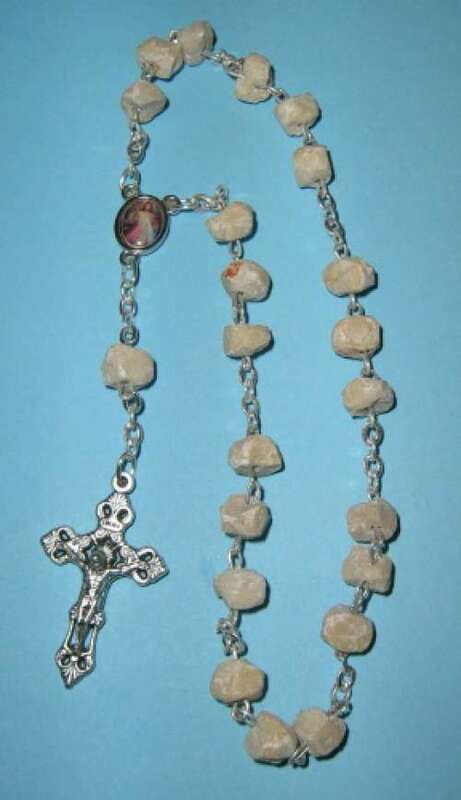 Ana hand crafts beautiful rosaries and chaplets from stones he collects on Apparition Hill. 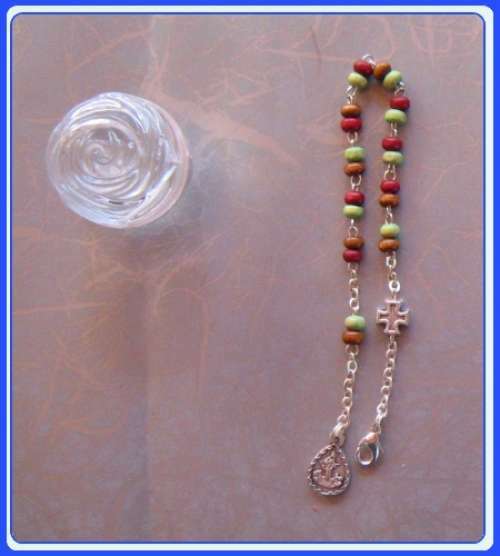 These are very unique and beautiful braceletes-rosaries!! 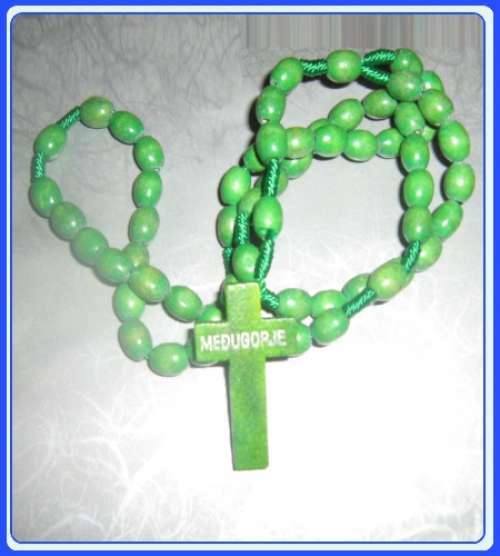 They feature the same Terra Center (soil from Medjugorje) as our metal rosaries with the image of Our Lady of Medjugorje on one side, and a Trinity Crucifix. Length: cca. 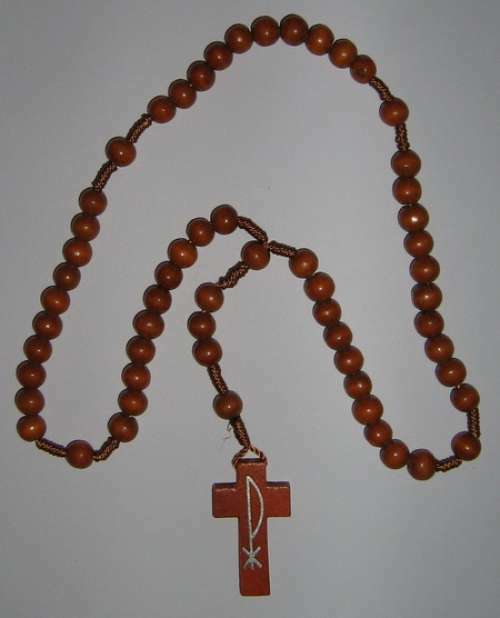 12 + 6 cm. See picture on millimeter paper.